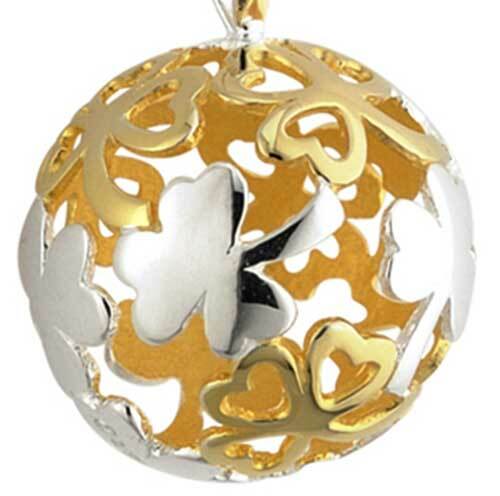 Shamrock necklace is a sterling silver orb that features gold plated accenting. This sterling silver shamrock necklace is a hollow orb design that includes filigree shamrocks a with gold plated finish. The shamrock orb measures 5/8" wide and it includes an 18" long sterling silver chain. Celtic necklace is a sterling silver orb style design with Trinity knots. 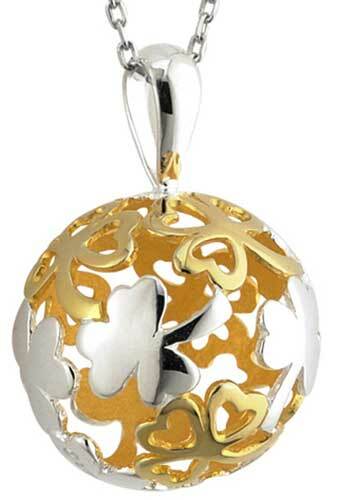 Sterling silver Claddagh pendant features the shape of a hollow orb with gold plated accenting.